That last picture is one of the best things I have ever seen. Thank you! I love it too! I love to make people laugh! I’m glad it brought back memories! Thank you for stopping by! Nice story and well complemented by the photos, bet the Bushmen didn’t know what hit them when wonder woman walked into the camp !! That’s funny…people used to call me “Wonder Woman”! Thanks for liking my post about Africa on http://www.theothersideofthecoconut.com. This is a good post. Glad to see someone else upgrades! It’s posted now. Sorry for the delay. Thanks so much for participating in toemail – we really appreciate it! Thank you for allowing me to participate!! What a wonderful journey you were on and the fantastic photos talks for themselves.Many thanks for sharing! I did give a laugh charging that gentleman, but is weighing his bones, even though you are a very strong woman! I admire you very much. Poor man he looks terrified! Great post good to see you are well again! I think he was scared! Thanks!! Thanks Ed! I guess it is a little weird to wear house slippers in the bush. But my feet were drying out and the heels were starting to get cracked!! What beautiful story and photos.Thank you so much for generously sharing them with us! Thanks for sharing such cool experiences and adventures. Great story! And I loved the pictures! loved loved this!! 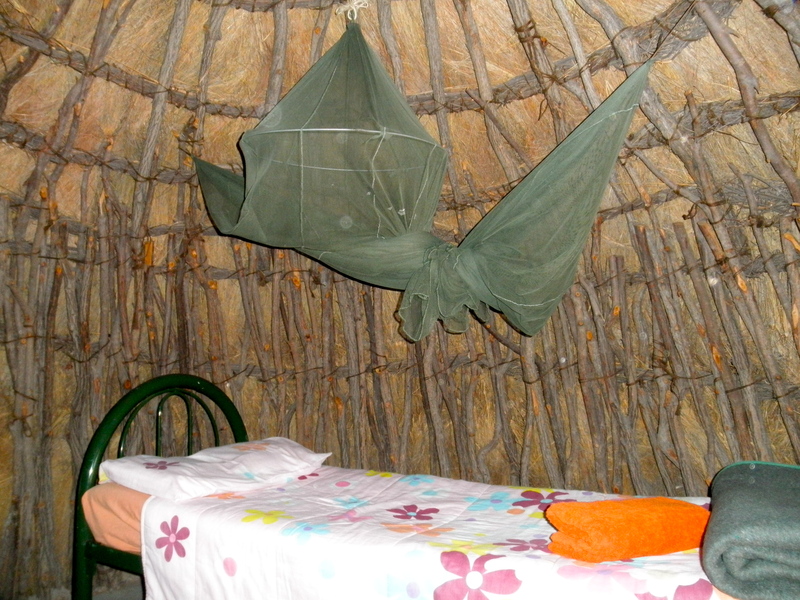 I slept in a similar one in Masai Mara, Kenya, falling asleep to the sounds of a Lion somewhere near by ..
No matter how out-of-place and out of comfort zone that is from my own personal space, I’d be thrilled to sleep in to one of those. And I won’t complain about bugs or dirt either! I hope not….you’re a guy!! Your journey is so inspiring! And your photos really tell the story! Thank you so much! I’m glad you’re enjoying it!! I did the same tour! I met the women and the baby! Very cool to see it again and relive it and those very fond memories! COOL! That is so cool that you did the same tour!! Sherry — you are so adorable! I’m glad you’re not sick anymore, and you are SO my kinda woman, traveling with faboo UGGS and all your cute clothes, even while camping. What an adventuress!!! Hi Betty – Thanks! You’re pretty cute yourself! They were actually my house slippers (LOL), but I do have some UGGS! Hello Toemailers – Yes–that would be great! I’m glad you enjoyed them! Wow! I hope I’m as fabulous as you are when I’m in my 50’s. So, was the village set up as a tourist spot like Silver Dollar City where the workers dress up in period costume to replicate that era? I was wondering because you said the San don’t live like that anymore. Thanks Pam! 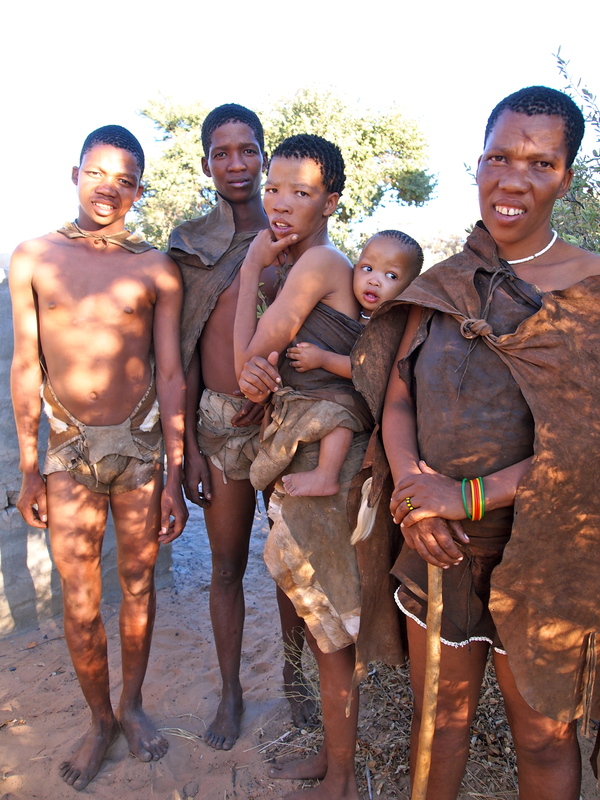 The San dress differently than in loin cloths, etc. They still live in huts. Their life is so different from ours – thank goodness. I know Anneli – It really made me appreciate the small things! Hi Martyn – I don’t go to the gym – I do jog though and a variety of other sports occasionally like bicycling, yoga, etc. It’s nice to be strong! Thanks so much Kris!! I hope you enjoy! Yes Michelle – it is a tradition…I’ve been doing it since 1987 – in Cancun I picked up a pirate! Actually, they don’t still live like that. They were dressed up especially for us! And they get paid! Thank you very much! Your photos are beautiful! I am glad you stopped back by. Thank you for your sweet comment. Sherry you must be so much fun to travel with…….the locals will remember you long after you left for home! I’m sure you touched all their hearts….especially the guy you picked up!!! Thanks Elisa…I think I’m fun!! Ahahahahahha. I cannot believe you picked that guy up! Hi Molly – I’ve been picking men up (literally) since 1987 – I picked up my first one in Cancun, Mexico (a pirate)! Great and relaxed photos – yes, you must be strong … it’s suppose to be the other way around *smile – he looks a bit scared. Love the photo with the natives – lovely. 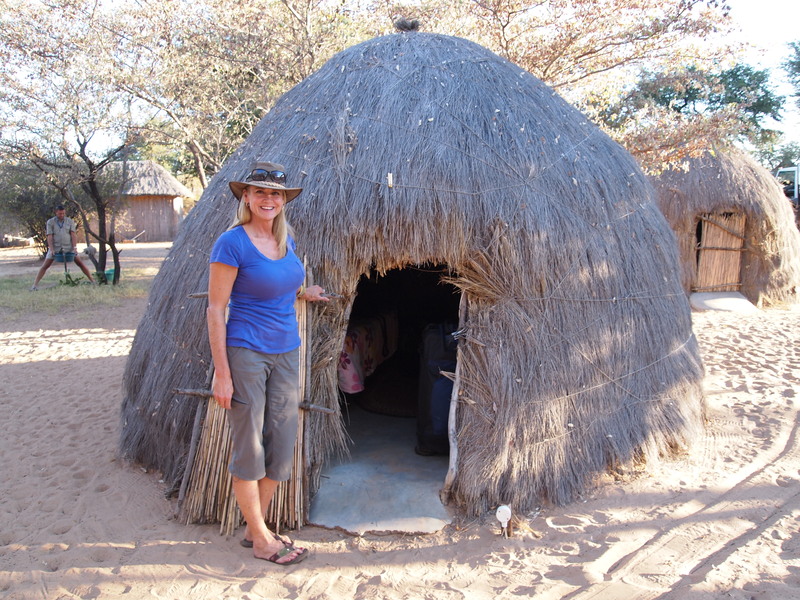 Wow Sherry, you are strong to be able to pick up and hold that bushman! Thanks Dave…I am strong for a woman!